Plastic Additions Waterfall Sorter helps provide maximum organization while clearing off flat work surfaces. 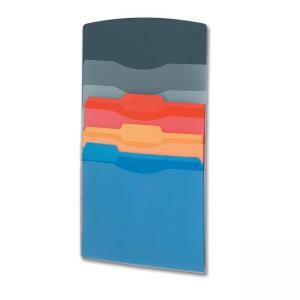 Easily mounts on partitions or walls that are 1-1/2" to 3" thick. Attaches to any tackable surface. Waterfall sorter securely holds up to 5 lb without damaging mounting surfaces.